Decades later, discerning patients seeking the very best plastic surgeon in New York City have come to meet with Dr. Loeb after seeing him on television, reading about him in the press, and hearing the positive reviews as told by friends and family. You can view the surgeon’s impressive curriculum vitae, by clicking here. Education is an ongoing commitment for Dr. Loeb, who regularly attends industry meetings and national training seminars to keep up with changes in the plastic surgery field. Following an undergraduate degree with honors in History from Northwestern University, Dr. Loeb began his career path in the medical field at the Washington University School of Medicine, where he graduated from the medicine and surgery program with high honors in 1980. Dr. Loeb is on the faculty as a clinical instructor of plastic surgery at Cornell University and has privileges at New York Hospital in Queens and North Shore University Hospital. Dr. Loeb achieved board certification from the American Board of Plastic Surgery in 1988. He is licensed to practice medicine in the state of New York under license #147494. His NYC plastic surgery center maintains full accreditation from the American Association for Accreditation of Ambulatory Surgery Facilities, New York State Medical Society, and Queens County Medical Society. Dr. Loeb is a highly trained and skilled plastic surgeon with wide range of expertise. With the eyes of an artist, the ears of committed listener, and the hands of an expert surgeon, he strives for the most natural looking and beautiful outcome in every procedure. Each patient receives individual attention and a personally crafted plan designed to deliver the desired result. He is equally capable of fulfilling the needs of patients seeking non surgical cosmetic procedures. In addition to offering all of the latest injectable treatments from Botox to Juvederm to Radiesse, Dr. Loeb has received added special training in Fractora Tite FX for skin tightening (2011) and Palomar IPL laser (since 2005). It is difficult to find the level of competence in the execution of these noninvasive methods of skin rejuvenation in Manhattan as compared with “medi spa” alternatives. Dr. Loeb has been quoted in numerous well-known, local and national publications, from the NY Daily News, New York Magazine, NY Post, and the New York Times, to Elle, Vogue, and People Magazine. He has appeared on The View, Fox Evening News, Inside Edition, Extra, NBC Evening News, Good Day New York, and CBS Evening News with Dan Rather to discuss everything from lip augmentation, facelifts, and Botox, to ear reconstruction, neck lifts, and liposuction. Dr. Loeb’s research and clinical experience has been published in university text books and he was the recipient of the American Medical Association’s “Physician Recognition Award” in 1992, 1996, 2000, 2004, and 2008. Five-star reviews of Dr. Loeb’s service gives testament to his knowledge, professionalism, compassion, and excellent bedside manner. 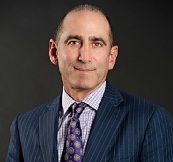 Past clients have said Dr. Loeb is “in a different league than other surgeons,” that he is “truly an artist,” and that he is “probably the most talented and skilled aesthetic plastic surgeon in NYC.” They describe a front office staff that is “amazing,” “patient,” and “warm,” and say that the outcome exceeded their expectations. Ultimately, it is the individual attention throughout the process and the end result that set apart the best plastic surgeons in New York City from the hype. Given the rise of medical tourism, Dr. Loeb makes special accommodations for patients traveling from afar. For fly-in patients, he conducts virtual consultations via Skype to minimize travel expenses, assigns a patient coordinator to ensure all medical documents are in order prior to surgery, offers discounted hotel rates at notable New York City hotels such as The Carlyle and The Mark, and arranges personal nursing care when necessary. If you are looking for one of the best plastic surgeons Manhattan has to offer, then look no further than Dr. Thomas W. Loeb. His trusted, capable hands have fixed the botched work of other plastic surgeons, performed miracles for abuse and trauma victims, enhanced the look of celebrities, and brought patients into alignment with their ideal standards of beauty. Call 212-327-3700 to set up a personal consultation with Dr. Loeb.